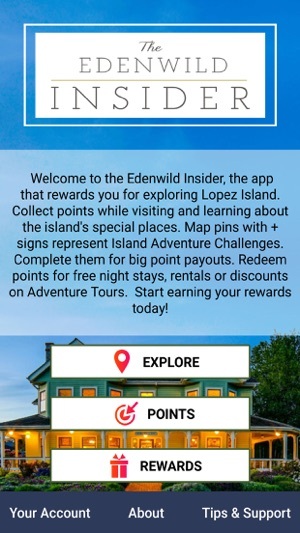 Welcome to the Edenwild Insider, the app that rewards you for exploring Lopez Island. 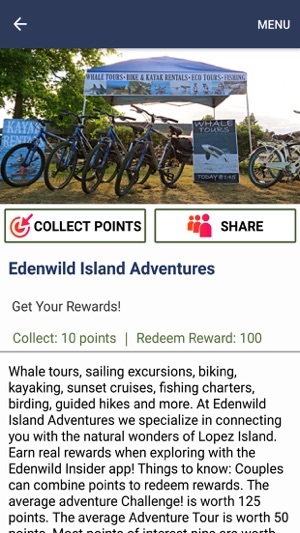 Collect points while visiting and learning about the island's special places. 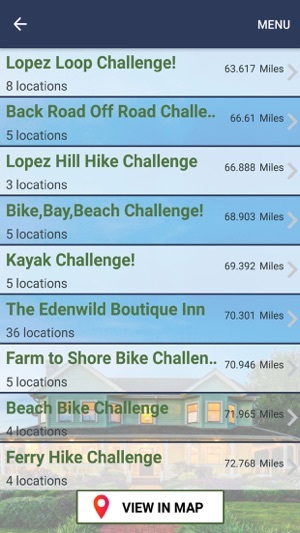 Map pins with + signs represent Island Adventure Challenges. Complete them for big point payouts. 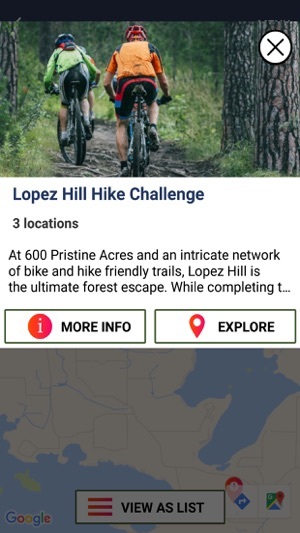 Redeem points for free night stays, rentals or discounts on Adventure Tours. Start earning your rewards today! 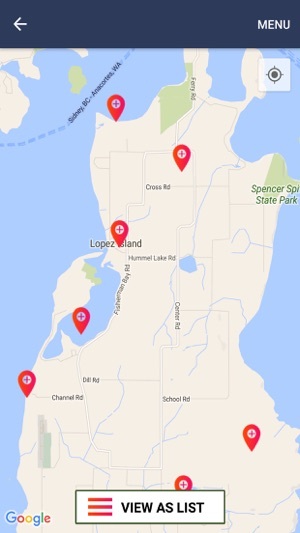 Location search and filtering enhancements, plus a variety of other improvements and bug fixes.